With demand high and on the rise, and prices still comparatively low, Melbourne’s property market presents an attractive opportunity to invest. So much so that Sydney buyers and investors are increasingly turning their sights from the Australian capital towards Australia’s most liveable city. An exciting new development in Caydon’s portfolio that has been particularly powerful in attracting interstate interest is The Malt District, and its highly anticipated release, Coppins Corner. 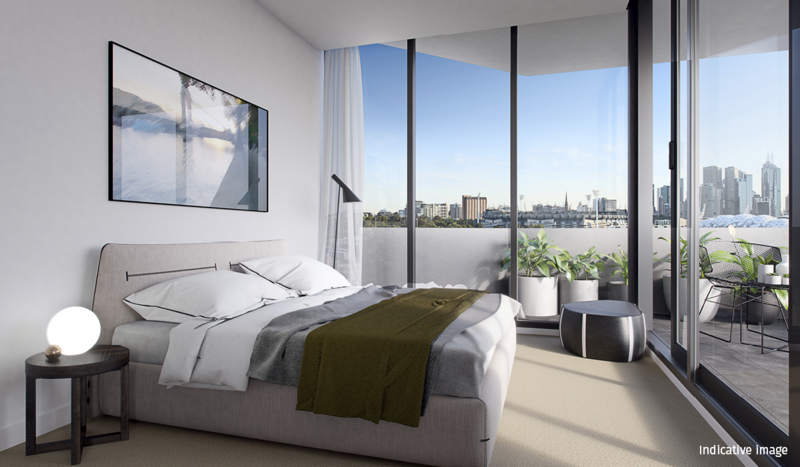 As one of Melbourne’s leading developers with over 15 years experience, Caydon being at the helm of the project has inspired trust and peace of mind for those interested in investing. 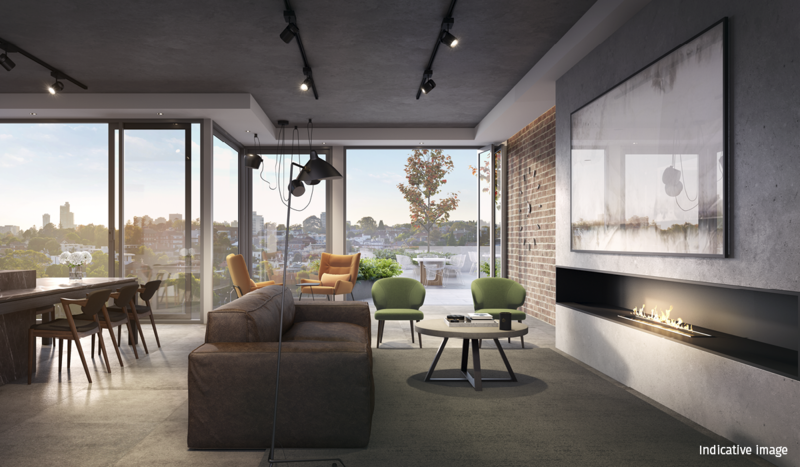 The Malt District is more than just a new complex of apartments, it’s a full-scale cultural precinct set to breathe new life into the superbly located pocket of Cremorne, adjacent to popular Richmond and just 3km from the CBD. Inspired by New York’s meatpacking district, esteemed architects Fender Katsalidis, landscape architects Oculus and developer Caydon look to transform the abandoned industrial Nylex Clock site into Melbourne’s most vibrant cultural address. Coppins Corner represents the residential element of the project and is set to become one of its most striking buildings. Inside the visually intriguing building, the apartments are designed and finished to create a fluid, modern and above all luxurious lifestyle for its residents. Every home will include a fully appointed European kitchen with modern features such as soft closing drawers. Bedrooms will benefit from full joinery built-in wardrobes. Wide oak timber floorboards will lay a warm and sophisticated foundation for interior decorating, and ceilings reaching 2.7m in height will bring light and space into each and every room. “These interiors exude elegance amidst a delicate weave of light and depth,” says David Sutherland, Director of Planning and Design at Fender Katsalidis Architects. At Coppins Corner, the enhanced living experience doesn’t stop as you leave your front door. Aside from the enviable array of amenities that The Malt District has to offer, including modern creative workspaces, retail outlets, a micro-brewery and gastropub, open green courtyard areas and even an artisanal grocery store, Coppins Corner itself boasts impressive luxury lifestyle facilities. These include a rooftop decked out with BBQ facilities, a catering kitchen and dining seating, a relaxation lounge with an elegant feature fireplace, and a fully equipped health club. But why invest in Melbourne property when there is a perfectly good selection of off the plan apartments to choose from in Sydney? The fact is Melbourne is more affordable – $211,896 (1) more affordable to be exact. Recent market research has found that the average Melbourne apartment is worth $483,226, whereas the average Sydney apartment is valued at $695,122. If you’re looking to invest in your first home or expand your property portfolio, you’ll get more for your money in Melbourne. More people equals more demand for apartments that boast beautiful interiors, life-enhancing amenities and a convenient location, which makes Coppins Corner a promising investment for the future. One bedroom apartments at Coppins Corner start from $476,000, two bedroom apartments start from $660,000, three bedroom apartments start from $1,242,000 and SOHO apartments are available from $1,730,000 (commercial and residential sections also available separately). Find out more about Coppins Corner or enquire now through our listing for The Malt District. Discover more Melbourne apartments here.